What does it mean to embrace the light? My time on earth has been spent going through the motions of life. The ups and downs, the good and the bad. There have been times of plenty and times when things were not so easy. During this time one thing has remained constant. From the first slap on my rear end to the present moment I have continually breathed. When I inhale there always comes a time to exhale. 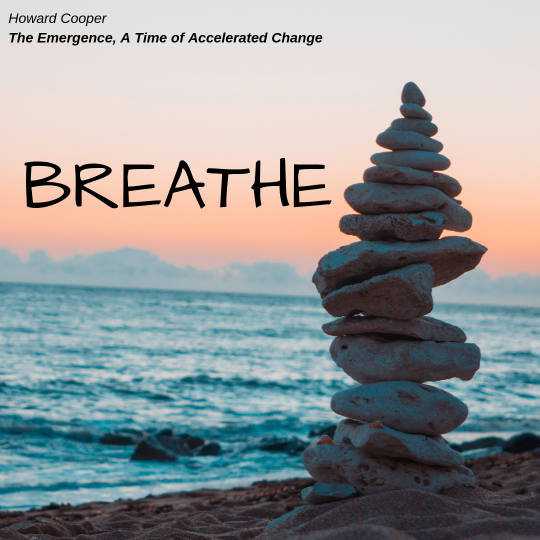 When I unconsciously hold my breath because of something taking place in my life there always comes a moment where I must breathe. This rhythm that I create is a not so subtle reminder that I am alive. In one of my more lucid moments I received this thought: no one breathes without love. This piece of knowledge was more profound than anything I initially imagined. The message requires not just a surface reaction, it requires a greater understanding that is not based on our existing acceptance of life as we know it. To breathe is a gift that we possess beyond just the obvious. Since life is a gift and breath is a gift, what other gifts do we possess that we overlook or take for granted? The truth is that all of creation is a gift. We are part of greater macrocosm that breathes. The universal knowledge of the ancients states that we are part of a cosmic whole, part of a greater aspect of being. What is it that stops us or interferes with us choosing to comprehend the truth of that reality? Ancient and present wise men and women know of methods to use the breath to enhance life and experience. Books have been written about the primordial breath. Many traditions share their knowledge of breathing techniques that bring well-being and harmony to the user. The writings of Alice Bailey indicate that breathing techniques misused bring about results that are not in alignment with higher purposes. The writings of Fabre d’Olivet and Edouard Schure interpret words from ancient Hebrew texts to mean that the breath of the divine is Light. If the breath of the divine is light than the connection with the words in Genesis, “Let There Be Light,” becomes very meaningful to the oneness that pervades all things. Light and breath become interwoven in ways that require not only our understanding but conscious involvement. When I inhale what is my thought and when I exhale what is my thought? Do I even have a thought? When my consciousness is engaged in the process of life, what am I bringing into my body when I breathe? If light and breath are so important that they provide our sustenance what is it that I become when my consciousness is focused on the things of life? Am I bringing into my body the intention of love or am I bringing in my present conscious mindset? These are things to ponder. Inhale and think love. Exhale and think love. Do this exercise three time. What do you feel? Has your consciousness changed? For most the answer will vary but the truth is that you have not changed your consciousness, only a momentary feeling at best. Inhale and think something positive. Exhale and think something positive. Words like: beauty, wonder, gratitude, joy come to mind. Do this exercise three times. What has changed, anything? The idea of this exercise is to demonstrate that the focus we place on being is a dominant part of our existence. It is time for us to realize that the focus we place on life is potentially fed by the input of the breath we take every day. If the essential essence or functionality of the world does not judge our thoughts and actions then does the quality of our very breath bring about the nature of the world we experience? It is something to ponder. Maybe if we change our thoughts about our connectivity to all that exists, we might find solutions to the divisions and dysfunctions we experience on earth.